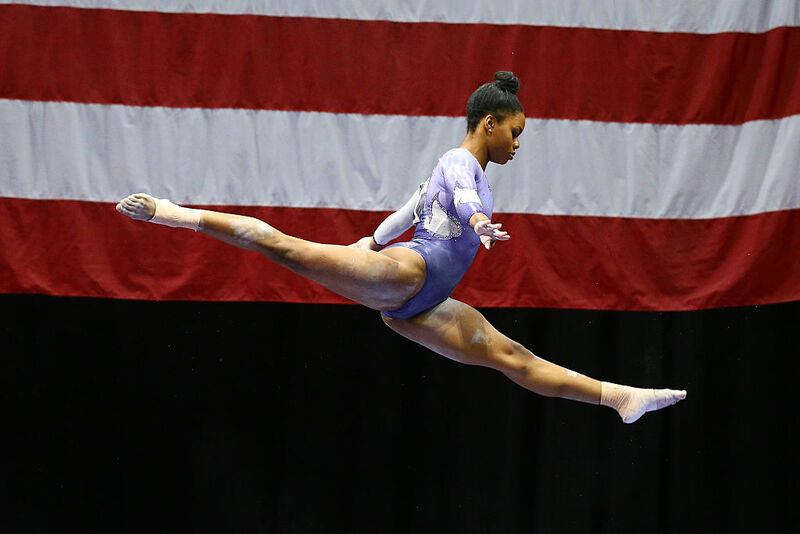 Gabby Douglas’s path to victory at the 2012 Olympics in London was awe-inspiring and historic: she became the first American gymnast to win the individual all-around while also leading her team to the gold. Watching her excel on a global stage at only 16 years old was a proud moment for our whole country. But that proud moment also revealed a really ugly, shameful underbelly of our culture — the hateful people who are all too eager to tear down a woman in the spotlight, especially if she happens to be a young woman of color. Gabby endured ridicule and cruel comments — much of which was based in racism — for her looks and her hair. There were nasty articles written about her and a steady stream of awful comments from trolls on social media. YES. Now that’s what we call girl power. We can’t wait to cheer for Gabby later this summer as she goes for gold again in Rio.